Surely by now you know that yesterday was a big day for Motorola. Lenovo's subsidiary announced the Moto Z and Moto Z Force, as well as the MotoMods that you can snap onto the devices to extend their functionality. However, the third member of the Moto Z family was notably absent from that event. 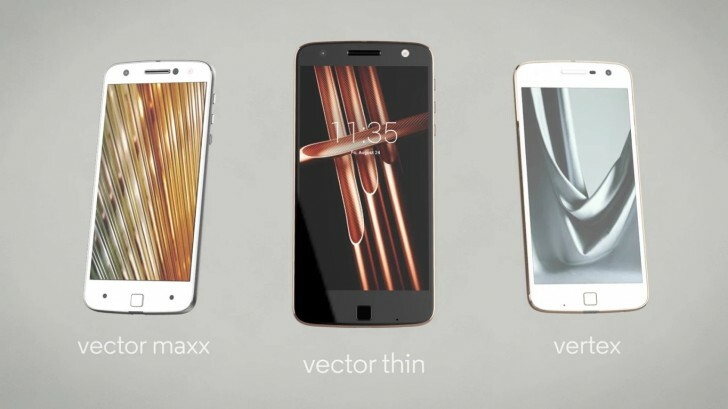 We're talking about the Moto Z Play, codenamed Vertex, which you can see in the image below, to the right of the other two Zs. The Z Play aims to succeed the Moto X Play from last year in Motorola's portfolio, as a more midrange offering compared to the other two. It's been rumored alongside the Moto Z so far, so we assume its unveiling can't be far behind. A usually reliable source of Moto-related leaks today assures us that the Moto Z Play is in fact still in the works and will see the light of day soon. It's been rumored to come with a 5.5-inch 1080p touchscreen, a 16 MP rear camera, a 5 MP selfie shooter, Qualcomm's Snapdragon 625 at the helm, 2GB of RAM, 16GB of storage, a 3,600 mAh battery, and a thickness of just 5.9mm. Lenovo is also preparing two additional MotoMods, which may become official alongside the Z Play. 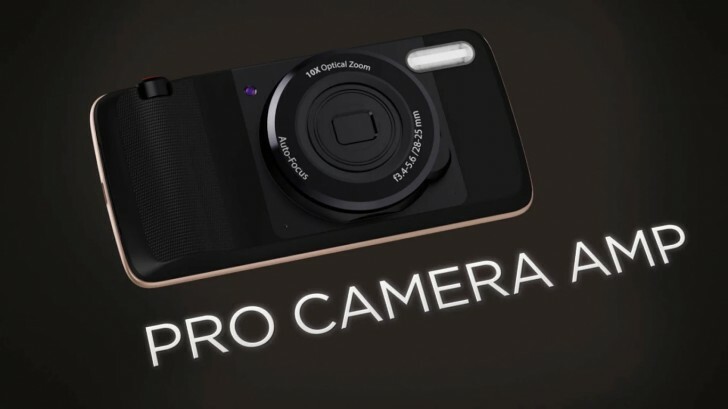 One is the Pro Camera Mod, pictured above (MotoMods have been codenamed Amps while in development, hence the use of that term in these leaked slides). This will bring with it a new camera with 10x optical zoom, f/3.4-5.6 aperture, and a proper Xenon flash as you can see. When attached to the Moto Z of your choice it will also make the phone look much more like a standalone digital camera. 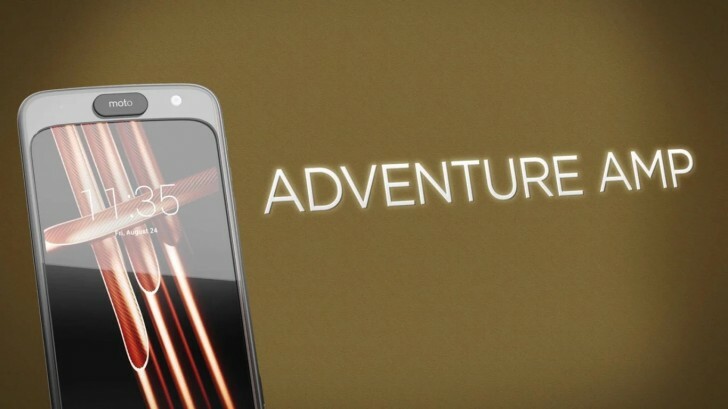 Another accessory that is in the pipeline is the so called Adventure Mod, which will "guarantee" waterproofing for the Moto Z. Part of this is shown in the image above.